A report by the Israeli think-tank Who Profits found that all Israeli banks are implicated in the financial infrastructure that allows companies, government agencies and individuals to participate in the colonization of Palestine and perpetuation of the occupation. 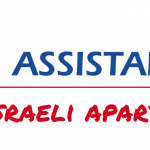 In an appeal published on 28 july 2017, the above mentioned groups called on AXA to put an end to its controversial partnerships and cease profiting from the occupation and colonization of the Palestinian people. The signatories of this communiqué point out that international citizen engagement has forced companies such as Veolia and Orange to halt their involvement in Israeli colonization and that pension funds such as PGGM in the Netherlands, FDC in Luxemburg and Danske Bank in Denmark have all divested from Israeli banks due to their involvement with Israeli settlements. The United Nation’s guiding principles for businesses and human rights requires companies across the globe to exercise due diligence in limiting the potential negative impacts of their activities on human rights. These principles apply to businesses and financial institutions, and their supply chains, located anywhere in the world. AXA’s commitment to respecting the Ten Principles of the United Nations Global Compact rings hollow as long as it continues to profit from the oppression of the Palestinian people and the ongoing occupation of Palestinian lands. – AXA is a shareholder of three Israeli banks, Hapaolim, Leumi and Mizrahi Tefahot Bank, involved with settler colonization. A report by the Israeli research centre, Who Profits, documented that all Israeli banks are involved in providing financial infrastructure for all the activities companies, Israeli governmental agencies and individuals linked to the continuation of the occupation. – AXA Rosenberg Global Equity Alpha Fund, has a stake in a subsidiary of the Delek Group. Delek Group is a group of construction and development companies involved in building housing projects in the occupied Syrian Golan Heights. – Through its subsidiary AB, AXA maintains investments in Elbit Systems, one of Israel’s leading military and homeland security companies. – Elbit produces 85% of drones used by the Israeli military. In fact, Elbit markets its equipment by emphasizing that they have been “field tested”, in other words they are tested on Palestinian bodies. Elbit’s Hermes drones and the 7.5 Skylark mini-drone were used during Israel’s successive attacks on the besieged Gaza Strip. A United Nation report into Israel’s 2014 attack on Gaza, where more than 2,191 Palestinian civilians were killed, suggests that Israel’ actions could amount to war crimes under international law. Elbit supplies electronic equipment for the apartheid Wall in the occupied West Bank, deemed illegal by the International Court of Justice in 2004. Elbit manufactures white phosphorous, and is accused of having used it against the civilian population of Gaza. By investing in these companies and banks AXA is complicit in perpetuating decades of Israeli violations of Palestinian human rights and international law, in direct contradiction with its own guidelines and international directives. It is important to recall that companies such as Veolia and Orange were forced to abandon their involvement in Israeli settler colonization due to international citizen pressure. At the same time, pension funds such as PGGM in the Netherlands, FDC in Luxembourg and Danske in Denmark have divested from Israeli banks on account of their support for Israeli settlements. In 2009 the Norwegian pension fund divested from Elbit systems due to the company’s involvement in Israel’s apartheid Wall. For all of the above stated reasons, we call on AXA to divest from any involvement and activity that legitimizes the violations of international law perpetrated by the state of Israel.